Short previews of upcoming CIEM reviews. Please remember that these are previews and my overall evaluation may change based on more testing. If you have any questions, please ask them in the comments section below. 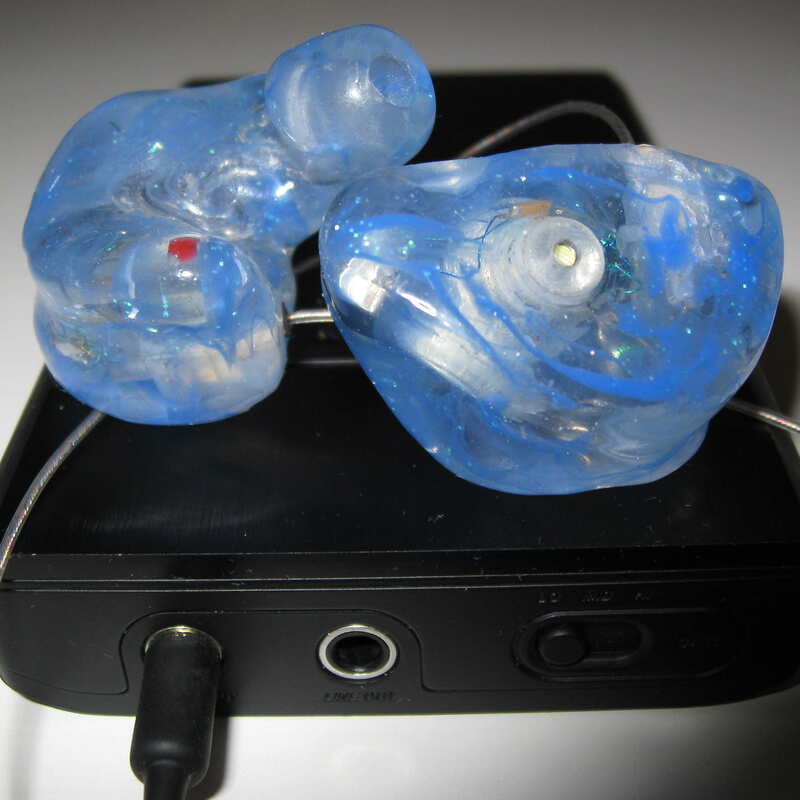 See the custom in-ear monitors review list for products with full reviews. Mi-Performer Pro: Minerva has been making hearing related products for over half a century and got into the CIEM game several years ago with the Mi-3. 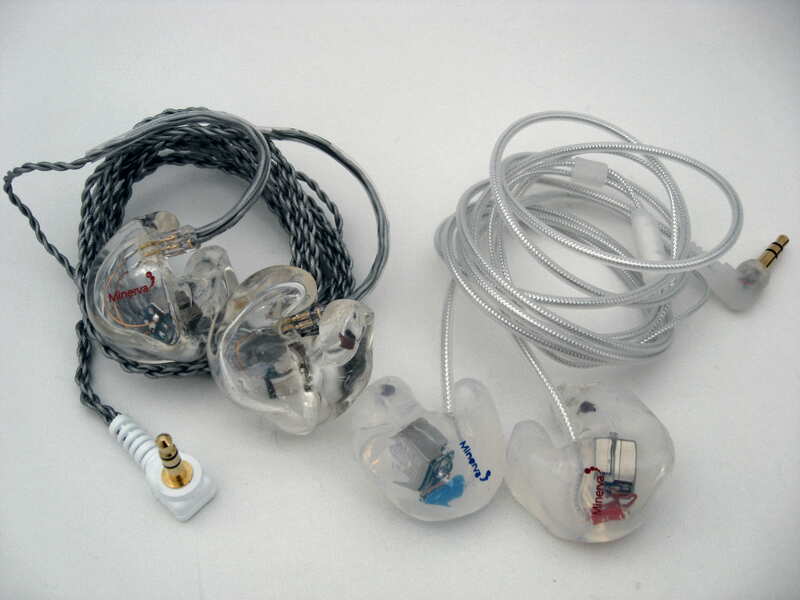 They recently updated their lineup, replacing previous CIEM products with the Mi-Artist Pro and Mi-Performer Pro. The Artist Pro is a dual driver in an acrylic shell with detachable cable while the Performer Pro is uses the same dual balanced armature driver housed in silicone. The cables are different, but both nice. As far as fit goes, the Mi-Artist Pro acrylic shell is the tightest fitting acrylic shell I have that doesn’t cause pain or discomfort, except when removing. 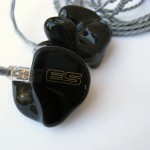 This CIEM does best with a push-in insertion method vs. a twist-in, and especially during the removal. The Performer Pro also fits snugly, but isn’t quite as tight. Sonically, they are quite different than the Mi-3, with a more forward overall presentation and a good deal more bass capability. The Artist Pro and Performer Pro share a mid-forward presentation, but the Mi-Performer Pro outperforms the Mi-Artist Pro in bass extension and capability while the Mi-Artist Pro has better dynamics, treble extension, and treble quality. The Performer Pro midrange is more forward and also resolves more detail than the acrylic shelled Artist Pro. The Perfect Seal Fusion 11 is the first silicone shelled hybrid CIEM, and that is pretty cool by itself. But, when listening there were several things that jumped out at me and made me grab some of the top-tier CIEMs for comparison. The first is tonal balance, which is spot on, and a close second is the coherence between drivers, which is significantly better than the other dynamic + ED hybrid I have, the Thousand Sound TS842. The bass quantity can be adjusted by changing out plugs, and there are 5 different settings to choose from (for now). While the solid plug has quite a neutral sound to it, the deep bass is a bit rolled-off, and the next plug up in bass quantity, the yellow filtered plug, has bass that is north of neutral. The red filter, small hole ports, and completely open all add bass quantity, with the amount increasing in that order. I found myself listening primarily to the yellow filter but would prefer the solid plug if the deep bass had more weight. The midrange and treble are very neutral and reminiscent of the much more expensive Lear LCM BD4.2 in linearity, but not as detailed and with a very different presentation perspective. While the Lear presents from a distance with a large space, the Fusion 11 presents much more forward perspective similar to a stage monitor sound. Switching back and forth did not leave me wanting from either. The presentation perspective is reminiscent of EarSonics products, and the EM4 is quite close. Comparing the Fusion 11 with the Heir Audio 8.A, the tone sounds more balanced with less bass emphasis (yellow filtered plug) and more treble emphasis leading to better clarity and a more natural tonality. Even though the Fusion 11 is a hybrid, it has better coherence and transparency, and the soundstage recreation is more linear. Compared with the Lime Ears LE3B, the Fusion 11 offers better clarity, transparency, and coherence for a better listening experience. Comparing the Fusion 11 with the Alclair Reference, the the Fusion 11 sounds more open, natural, clear, and precise. The midrange presentation is slightly more laid-back, but the more 3D and coherence between other parts of the spectrum is much better on the Fusion 11. The bass quantity with the neutral bass ports is similar to the Reference, but the Fusion 11 is much more capable in the bass region. The upper midrange of the Reference is a bit more prominent while the treble is slightly more prominent from the Fusion 11 and smoother. The clarity within the soundstage is superior from the Fusion 11 and details are easier to make out even though the Reference articulates notes (omre focus on individual notes) than the Fusion 11. When A/Bing these two, the Fusion 11 sounds like a higher class of CIEM. The Fusion 11 performs closer to the EarSonics EM4 from a technical standpoint, but the tonality is different as the Fusion 11 is brighter and not quite as smooth. Comparing with a new flagship such as the Hidition Viento-R, the Fusion 11 doesn’t quite perform at the same level, but the fact that I can switch between the two and not be disappointed with the Fusion 11 says something. Given a base price around $500, the Perfect Seal Fusion 11 offers stellar value for money. The EarSonics EM32 has been out for a while now, but I managed to get my hands on one and was surprised by the different direction taken with the sound signature. The EM32 has a bass emphasis combined with quite good capability resulting in the ability to convey quite a bit of power and emotion, edging out the EM4 and leaving the S-EM6 far behind in this regard. The presentation perspective is more laid-back than typical for EarSonics, approximating the neutral performance of a “reference” CIEM, which is different than the more forward EM4 and mid-centric S-EM6. Spatially, the presentation space of the EM32 is slightly larger than the EM4, which is larger than the S-EM6. Imaging is close, but not quite to the level of the EM4 but close to the S-EM6. 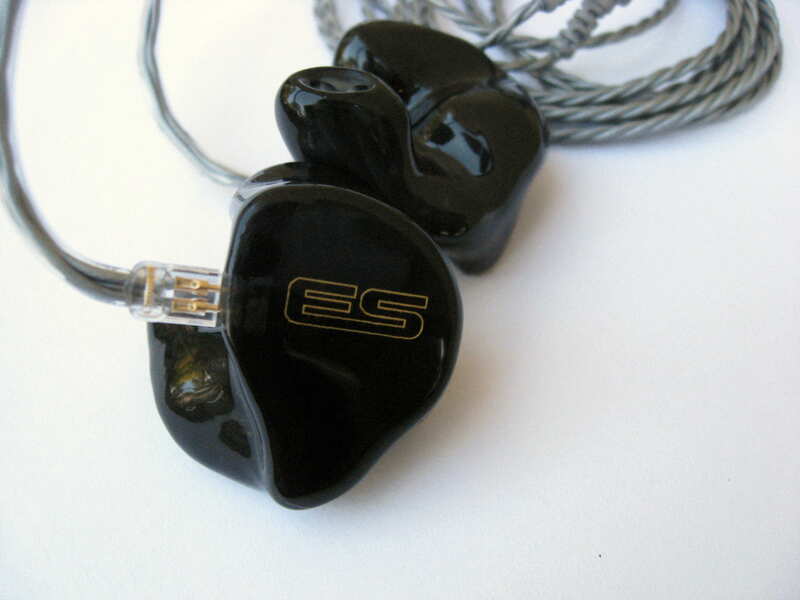 EarSonics, while not considered dark by many, wouldn’t be mistaken for a bright CIEM. Well, the EM32 is the brightest EarSonics product I have heard to date, and the treble is reminiscent of the Ultimate Ears In-Ear Reference Monitor in that it reveals poor quality quite well, but does fine with better quality tracks. In my initial listeing testing, I did notice the transparency to source and track as performance changed a good deal track-to-track. With all that said, the sound signature still has EarSonics overtones and isn’t a total departure, but more of a different flavor. Hi! Do you plan on doing a review of the Custom Art Music Twos? currently i have the Westone um3x and the dunu 100.
like both very much but now i am stepping up, looking into CIEM. what do you recomend for something that has comfort and is cross pollinate between the um3x and the dunu100. Wow, looks like earsonics have a winner with the velvet. So, I take it that the Perfect Seal Fusion 11 is better than your current $500-$750 pick, the aud-5X? I haven’t done a direct comparison yet, but I believe it has a higher level of technical ability. I don’t want to say too much without a direct comparison.